I’m back safe and sound, although still jet-lagged even days after touching down. 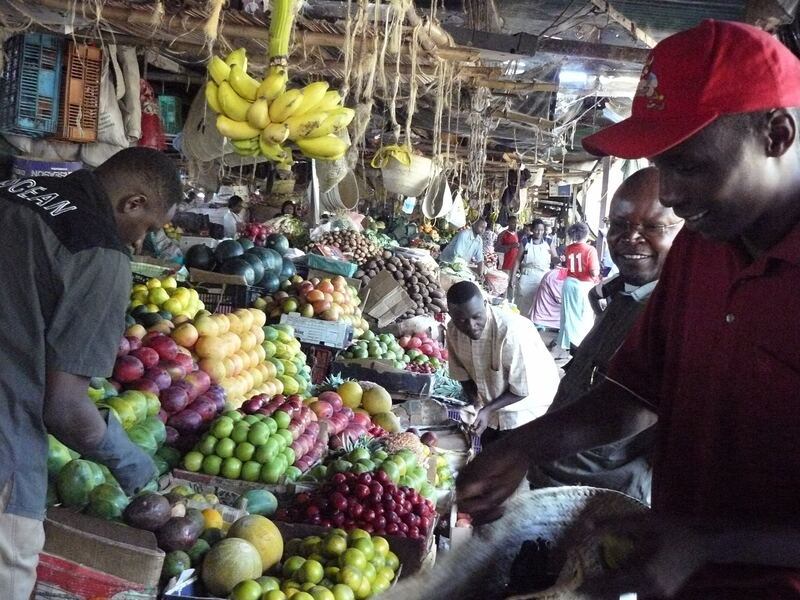 This is one of the farmer’s markets in Nairobi. Patrick from Micato Safari is in the background. 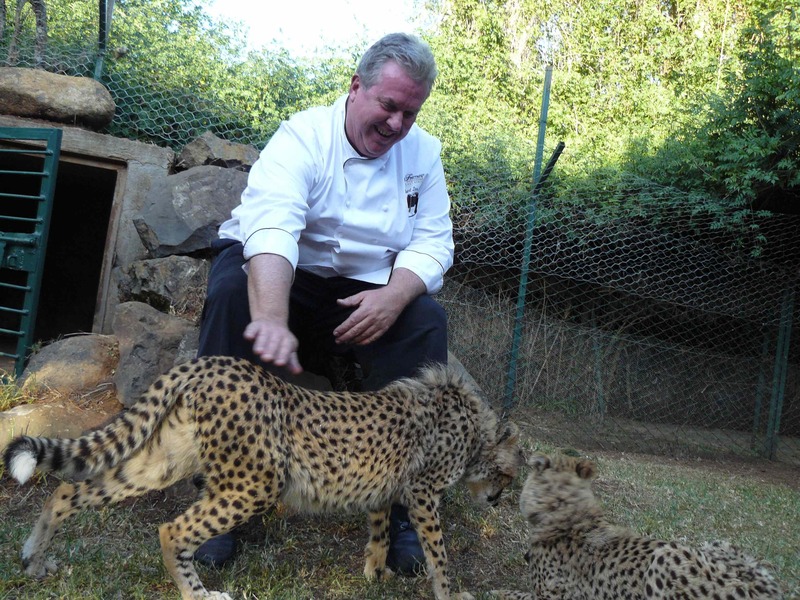 This is the chef I was profiling, with two half-wild cheetas. They were amazingly vocal, letting out purrs and chirps. So gorgeous. They were rescued from a sure death outside of Somalia. 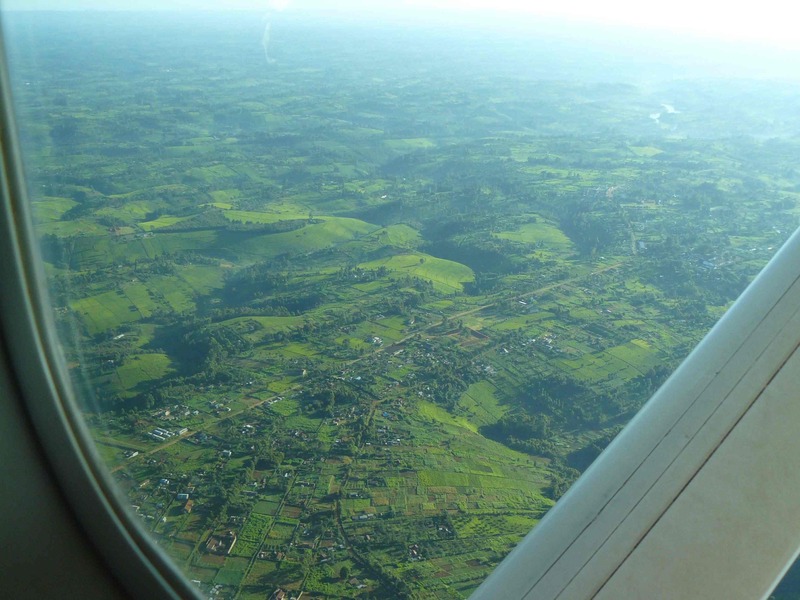 Though this is kind of a boring photo, it’s how I’ll remember Kenya. I took quite a few bush planes to get from here to there. Looking down, all you see are little farms, or shambas, making a mosaic out of the land, with small charcoal fires burning. I’m incredibly happy to be back home, and will start posting about the farm again soon. This entry was posted in travel and tagged cheetah, kenya safari, nairobi farmers market. Bookmark the permalink. Oh, my the cheetahs! That must have been incredible. That farmer’s market looks amazing. i get back tomorrow. can wait to see you sat nite! Welcome home- we’ve missed you. Looks like an incredible trip. Can’t wait to read all about it. Welcome back! Sounds like a marvelous assignment, & I can’t wait to read/hear more.